Aluminet is an agricultural grade shade cloth available from various farm and garden suppliers. Gardeners and home owners have used it for small gardening or shading projects before, attaching it with the EZ Snap fastener system. We thought we would give a more though description of how to install Aluminet shade cloth on your smaller projects. 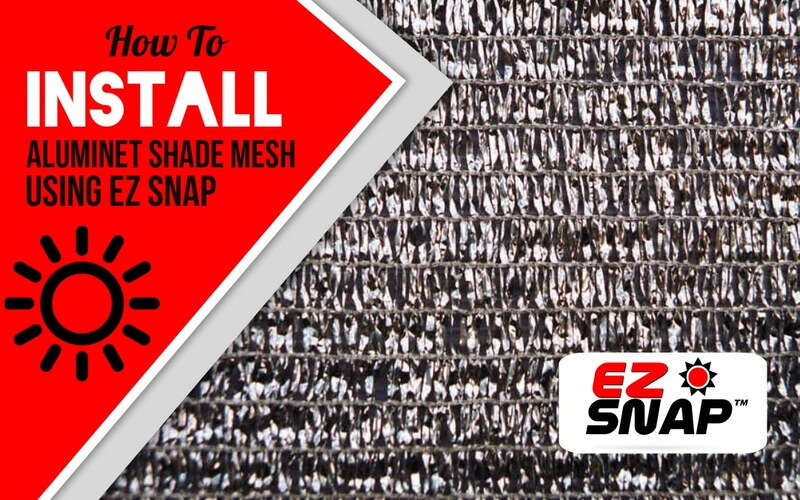 EZ Snap does not sell or distribute Aluminet, instead we use the EZ Snap optical grade shading mesh. Aluminet is very difficult to see through and so does not make a very good window shading product, unlike the EZ Snap shading mesh. How to install Aluminet for a small project? 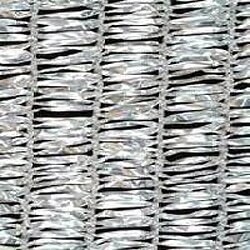 If you have a large project that will see substantial wind loads, then it is recommended that you use either a reinforced sewn hem with grommets or a large compression fastener that will grip hold of the Aluminet over a large area. 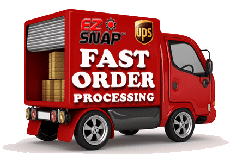 If your Aluminet project is smaller in size, then the EZ Snap fastener system might be just what you are looking for. The adhesive EZ Snap fasteners will stick to a wide variety of surfaces, allowing you to install Aluminet in many different projects. If you use the EZ Snap fasteners with Aluminet, we recommend that you double or even triple fold the edge of the Aluminet that you are attaching to, to increase the holding power. Aluminet comes in a variety of densities and lighter densities do not have a lot of material to provide holding power. By doubling or tripling the layers of Aluminet in the area that you are attaching the EZ Snap fasteners, you add a lot more holding power to your project. If your project is large in size and will catch a lot of wind, then we recommend that you visit www.ae-zone.org for more detail on Aluminet and its uses.